For years, local and regional news outlets have been assaulted from all sides. Our costly investigations and shoe-leather reporting are summarized into clicky headlines and shared wildly by profitable aggregators. Advertisers are leaving in droves for Google and Facebook. And every year, it seems we have fewer journalists left to do this crucial work. 2017 will be the year local news organizations decide to fight a different battle. We will accept that digital display advertising on our sites alone won’t drive enough revenue to support our newsrooms, that the daily rise and fall of unique visitors has little to no actual correlation to the bottom line. With that understanding, we’ll pivot from our ruthless worship of Omniture to content and business strategies based upon a half-dozen or more revenue streams. We will never be able to compete with the national news outlets on scale. So instead, we will acknowledge our strengths: Proximity. Intimacy. Fidelity. We will combat fake news with an acronym: IRL. 2017 will be the year that you learn the names of your local journalists, because you will see and hear them everywhere you turn. Most newsrooms have already integrated an events strategy into their workflow. That won’t change. 2017 will be about using new platforms to simulate that IRL interaction whenever we can. We will quickly capitalize on opportunities to welcome ourselves into our neighbors’ homes using consumer toys like Amazon Echo and Playstation VR. The Flash Briefing is the logical evolution of the push alert strategy. Chat bots and text subscriptions will allow for personal-feeling interaction with local journalists, and also allow us to talk to you even when you turned off your news alerts. Local television stations will begin to look more like legacy news organizations; devoting more resources to social media strategy and mobile news presentation. Legacy news organizations will leverage new broadcasting power with streaming options like Facebook Live and will look more like local television stations. Both will place less weight on driving readers to our own .coms and seek instead to engage with them wherever we can find them. And we’ll make a little bit of cash by selling ad adjacencies, at an premium, on those platforms. The Washington Post and The New York Times have shown great success of late in their marketing of digital memberships. Their readers believe journalism has monetary, not symbolic value. If local news organizations want to jump on this train, they will need to sharpen their focus to producing meaningful experiences and irreplicable content only — useful breaking news, purposeful beat coverage, jaw-dropping investigations, and moving storytelling centered around regional identity. The sum of staring at our phones all day is an audience longing to find meaning in the everyday. The long nights poring over documents, the regular attendance at zoning meetings, the unexpected profile of the old man in the shop window. That’s what we do as local journalists that can’t yet be replicated. It is how we remind our readers, whether we find them on their phones or through an Echo or a VR headset, that we are their neighbors and we are still here. 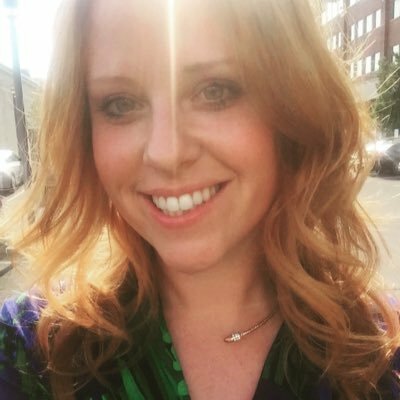 Ashley C. Woods is consumer experience director at the Detroit Free Press. Dec. 15, 2016, 12:01 p.m.